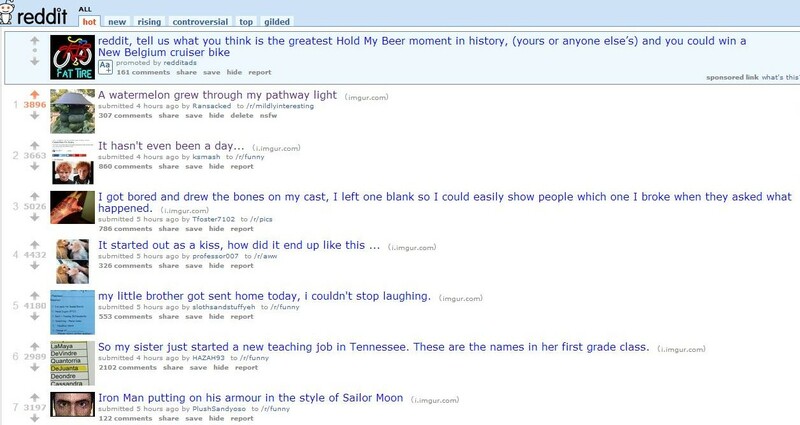 I’m actually not sure how rare it is for a Sacramentan to have the #1 post on Reddit, but this is where 275 people in a comment thread should tell me all the times it happened. You can’t make this stuff up. Julia Stanley-Metz from right here in Sacramento dreamed up “Wavy Mango and Salsa Potato Chips” and is subsequently one of just 4 finalists for a $1 million grand prize from Lay’s. 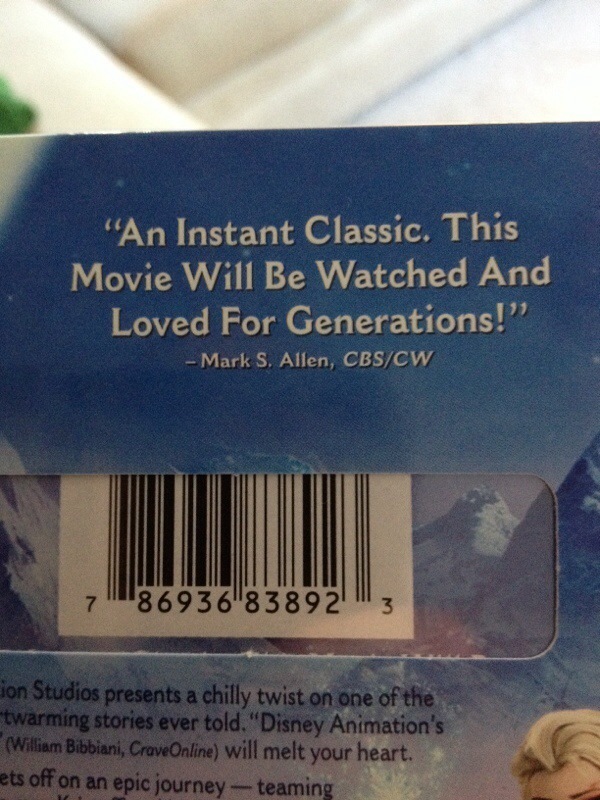 Choice placement for CBS13/CW31’s Mark S. Allen on the DVD cover for “Frozen,” sure to be one of the biggest releases in recent years. And he’s 100% right by the way–it’s snark-proof. By Jeff Gonzales and Cintia Lopez, journalism students at American River College. Nothing says the holidays like ugly sweaters, inflatable Christmas decorations and charitable acts. Especially when those acts are rewarded with beer. 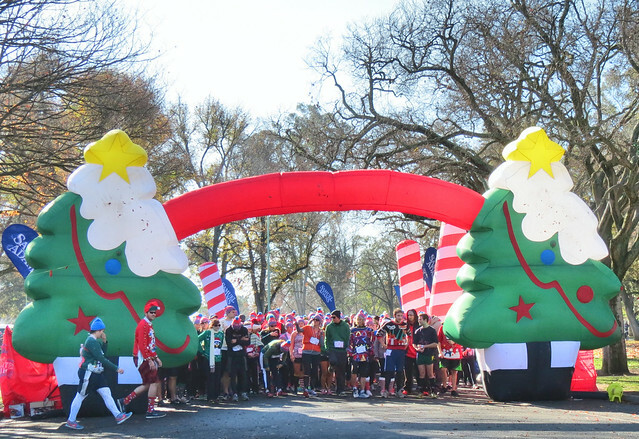 Blow-up candy canes and a Christmas tree arch lined the sides of William Land Park as masses mustachioed with temporary tattoos dressed in their best, or worst, ugly Christmas sweaters gathered to partake in the third annual Ugly Sweater Run.